Statistically, dental emergencies, like broken teeth, account for less than 2% of all emergency room visits. But considering that over 135 million people go to an emergency room each year, that’s a lot of dental visits. Sadly, most dental emergency room patients are not well served at the emergency room; the doctors are often not qualified to relieve their broken tooth pain. They generally either send patients home or tell them to see a dentist. Knowing what to do in a dental emergency may save you an insurance copay and, more importantly, eliminate the need to sit for several hours in an emergency room waiting area. There are three types of common dental urgencies. Some require immediate attention, and some do not. Hot foods, like soup, and cold foods, like ice cream, often cause tooth pain. But it’s nothing like broken tooth pain. Instead, the thin enamel sometimes gets thinner over time. That process exposes part of the pulp or nerve (inside parts of a tooth). If your enamel has decayed, porcelain veneers may be an option. But short of something radical and invasive, there is not much any dentist can do about enamel erosion. The next time you come in, talk to Dr. Stone about a toothpaste for sensitive teeth. That should ease your discomfort. 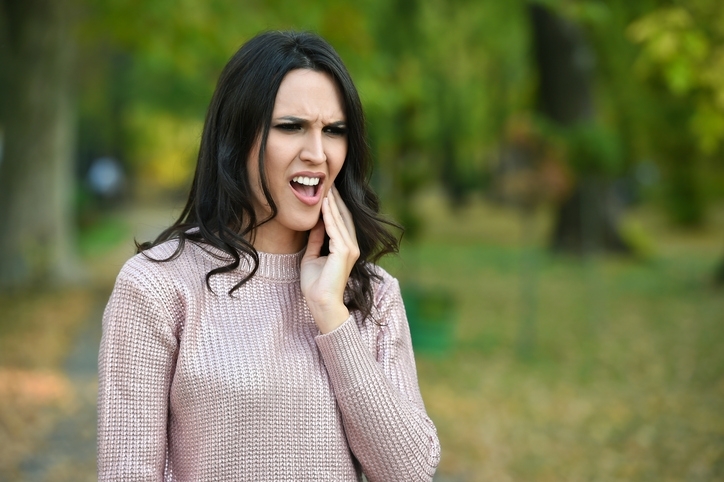 Sensitive tooth pain is usually rather mild, and it usually comes and goes. If the pain is severe and consistent (or throbbing tooth pain), it may be due to tooth decay. Also look for visible signs of tooth decay, like a stained tooth or a hole. Broken tooth cases require professional help. If tooth decay is an issue, schedule an appointment straightaway. Untreated tooth decay often leads to root canals and other rather unpleasant dental procedures. In the meantime, to relieve discomfort, take an over-the-counter pain reliever. Do not make an aspirin paste and put it on the tooth. Additionally, keep the decayed tooth as clean as possible. Rinse it frequently with warm or cold water. 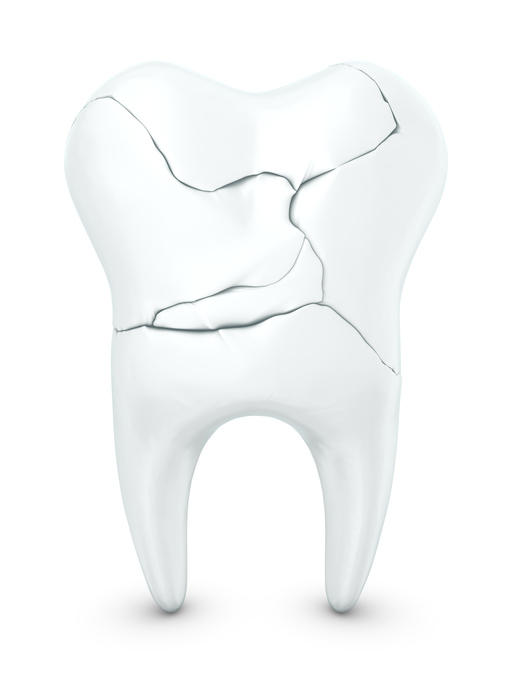 Unlike broken bones, broken teeth never heal on their own. Such wounds are not just unsightly — in many cases, the broken tooth pain can be almost unbearable. Fortunately, Dr. Stone usually reserves some time each day for dental emergencies, like broken tooth pain relief. The sooner you come in, the less expensive the repair will be. In the meantime, use some sugarless gum as a makeshift dental crown. That’s definitely not a permanent fix, but it’s better than nothing, and it’s the best you can do outside a prosthodontist’s office. Sometimes, you can deal with tooth pain on your own. But in most cases, especially for broken tooth pain relief, you need professional help. At Best Dental Associates, Dr. John Stone and his top staff are ready to serve you.